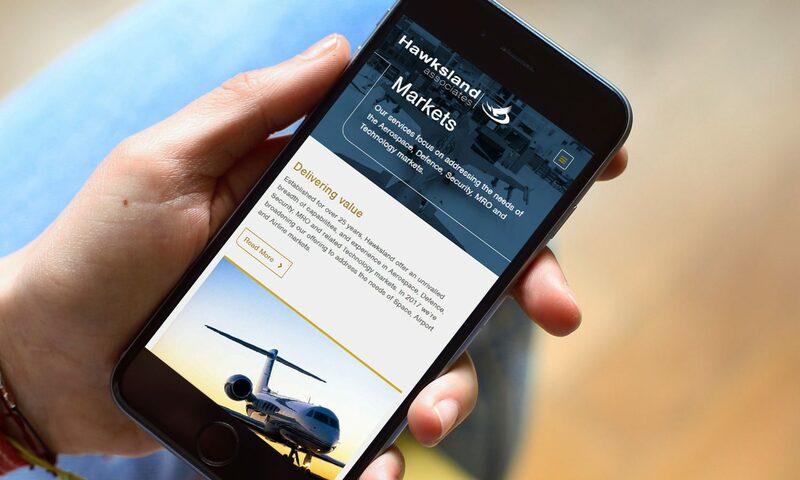 Communicating confidence and expertise to multi-billion dollar organisations. 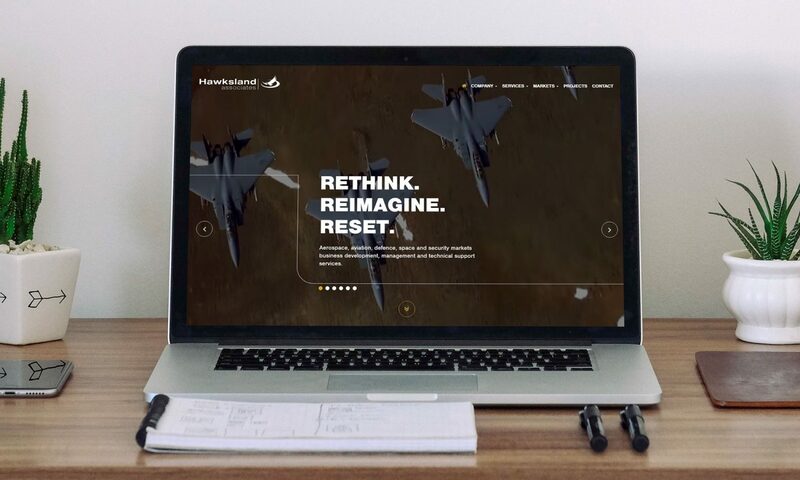 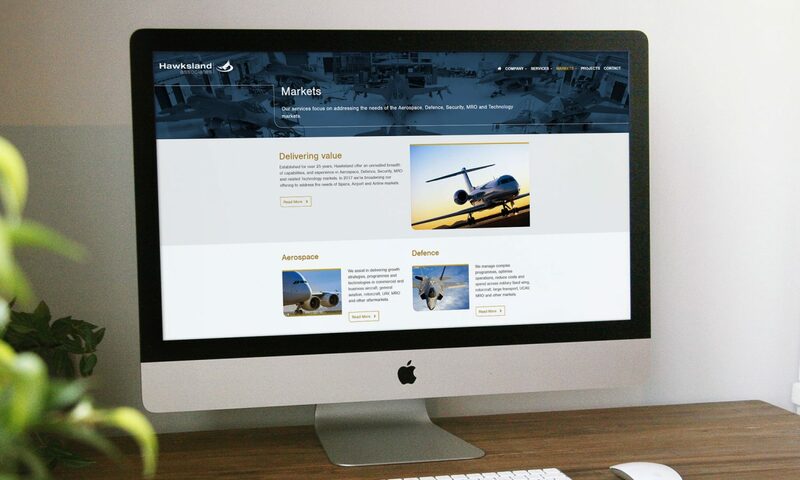 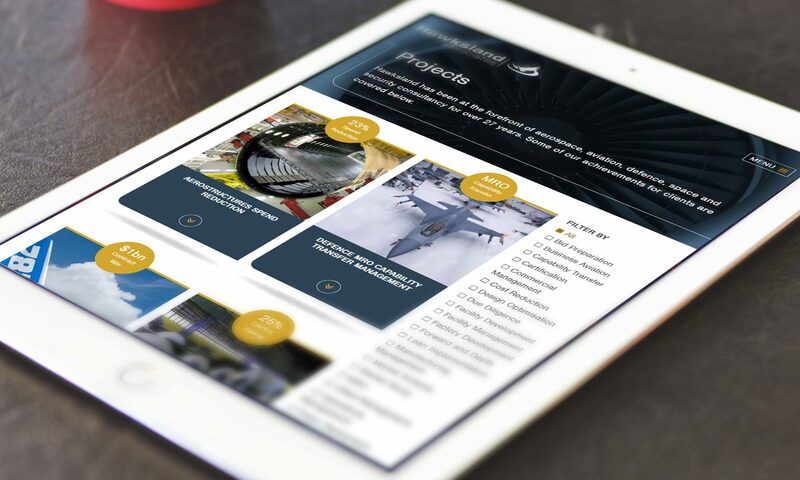 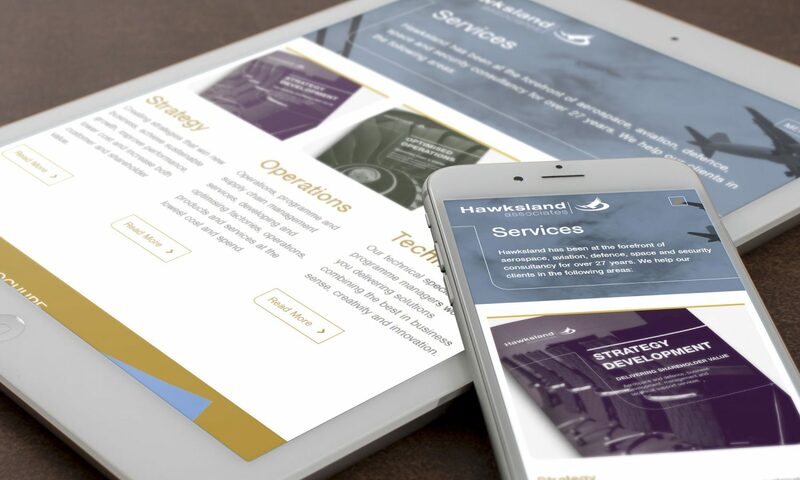 Hawksland Associates are leading aerospace consultancy made up of over 200 leading experts. 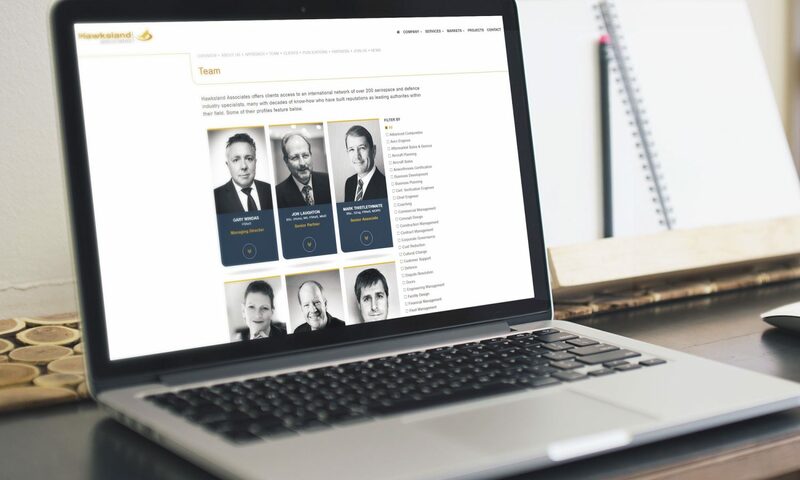 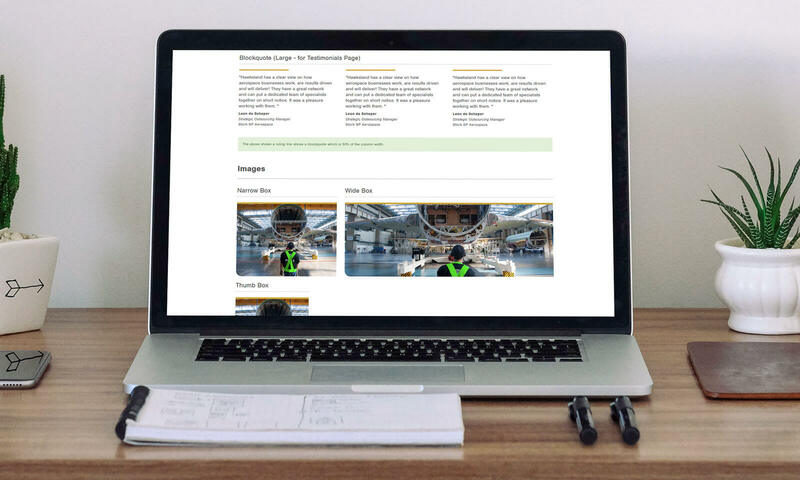 The website needed to reflect the diversity of people and expertise, it’s successes and, visually, tie in with the brochure I had created for them. 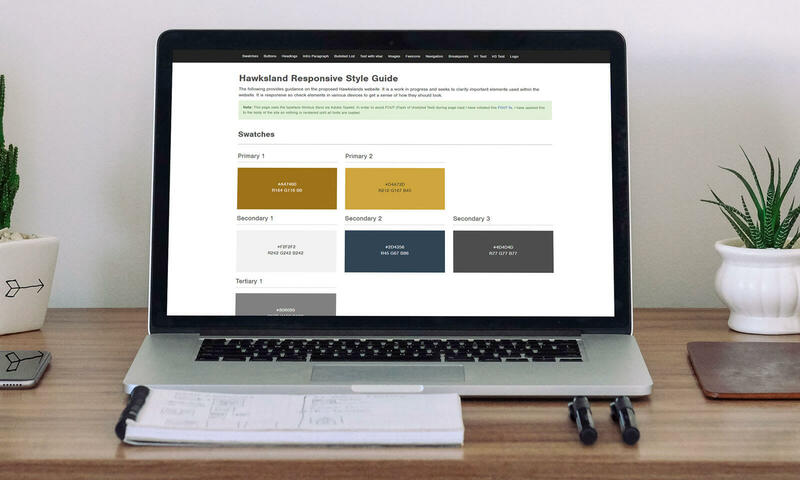 In addition to the various designs at different sizes, I also created a programmed a styleguide to show developers how various elements from colours to image boxes not only look but also function using a variety of devices (visit the link below to see this in action).